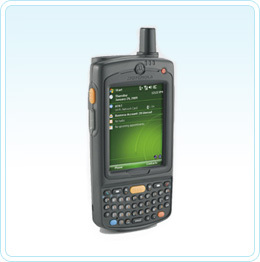 Your workers will enjoy having all the features they need right at their fingertips in one device designed to endure all day everyday use outside the enterprise - including push-to-talk, integrated GPS with superior sensitivity and tracking capabilities, 1D and 2D bar code scanning, a high resolution 2 megapixel autofocus digital color camera, 802.11a/b/g wireless LAN (WLAN), Bluetooth and IrDA connectivity. Passes drop-and-tumble tests, with integrated antenna and IP-54 sealing. Maximises mobility, giving desktop-like performance with minimal power use. Enabled through Windows® Mobile 6.0, with advanced security, a flexible development platform and improved mobile messaging. Delivers high broadband and voice data performance anywhere in the world. Provides cost-effective connectivity in offices and hot spots. Enables robust location-based applications, boosts signals in weak areas and increasing time to first fix (TTFF). Helps connect wirelessly to modems, printers and headsets, as well as legacy business equipment. Supports high-resolution images such as video and remains easy to view in any lighting. Include QWERTY, QWERTZ and AZERTY keyboards. Improves signal reception and makes connections more dependable. Provided via 128 MB RAM and 256 MB ROM. Hand-held Warranty The MC75 is warranted against defects in workmanship and materials for a period of 12 months from date of shipment, provided that the product remains unmodified and is operated under normal and proper conditions. Please click on the button to see the page listing all the Motorola MC75 accessories which includes cradles, chargers, spare batteries, holsters and everything else you could possibly need. For pricing information and availability contact us. 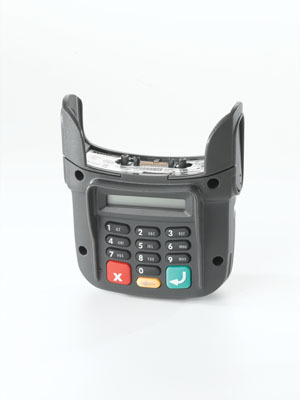 I've just unpacked my new MC75 and the barcode scanner doesn't come on. Why? Download and install DataWedge V3.1 first. How do I warm boot the MC-75? How do I cold boot the MC75?